Housing Co-operatives is a people-centered form of affordable housing that delivers choice and control in housing. 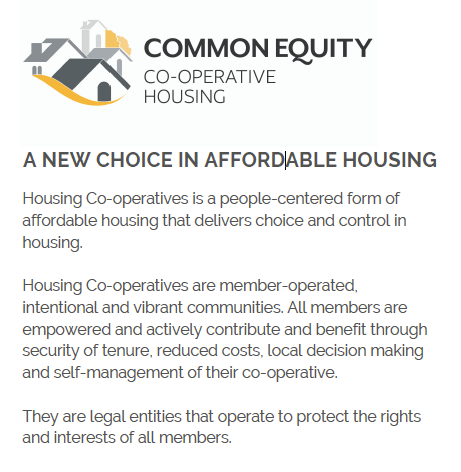 Housing Co-operatives are member-operated, intentional and vibrant communities. All members are empowered and actively contribute and benefit through security of tenure, reduced costs, local decision making and self-management of their co-operative. They are legal entities that operate to protect the rights and interests of all members.